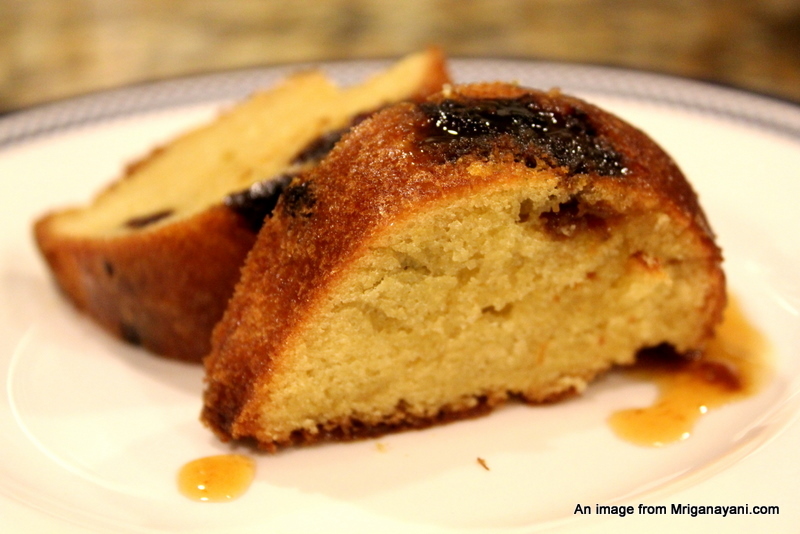 Baking yet again for A Sweet Punch series, this time the recipe provided was for a Currant Cake with Apple Syrup. 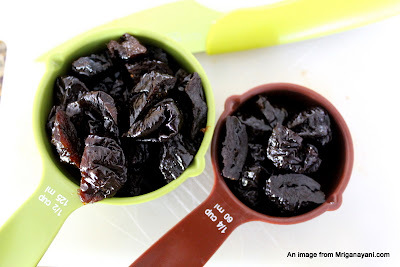 I took the liberty and used plums instead of currants. This was a really easy cake to make and it smelled just beautiful in the house. Here is the recipe provided by Divya of the Sweet Punch team. Thanks Divya for this recipe - its a keeper and I intend to mix it up with different fruits and nuts and make soon. I have to try this with just chocolate chips too just to get my chocolate fix! 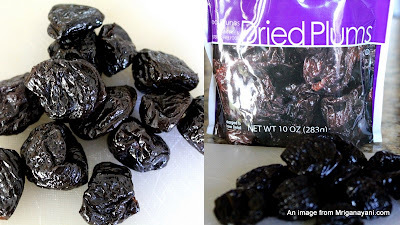 Get about 3/4 cups of dried plums. 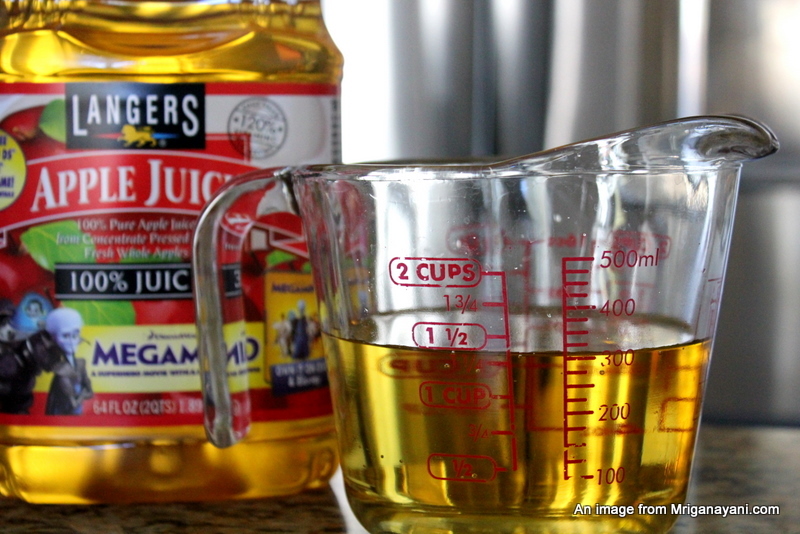 And 300 ml of apple juice. Boil them together with a couple of sticks of cinnamon in there for about 5-7 mins. Then, switch off and just let sit to cool. You can leave this overnight or just for a few hrs. I actually just let it sit for about 2 hrs. This just smells heavenly and I was surprised when my little one actually loved the smell. I was almost expecting an eww..just because everything that looks weird to her also smells weird! But, she kept coming back to the kitchen just so she can smell this! 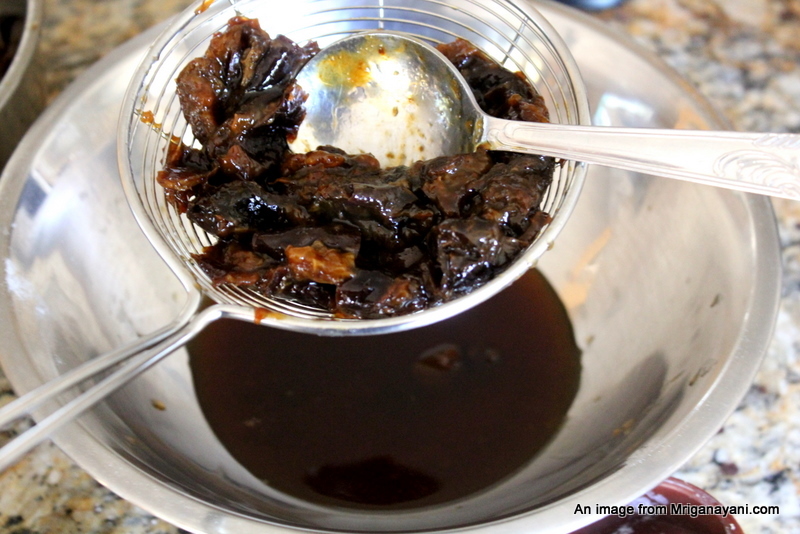 Strain the juice from the plums and save both the plums and the juice. Sorry I don't have all the pictures of making the batter. It was just one of those times and I could not get my hand on my camera as well as this! Anyways, beat together the butter and the sugar. 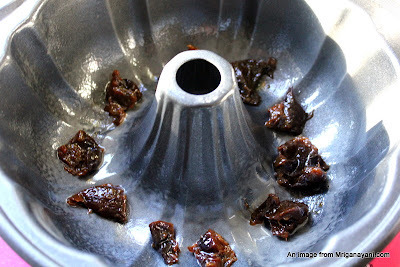 I used a mix of both brown and white sugar in equal proportions instead of just castor sugar as mentioned in the recipe. Then, add 3 eggs and mix together. 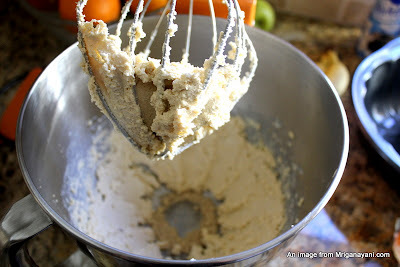 Sieve together the flour and the baking powder and then mix it with the batter. When the batter is ready, add a few pieces of the reserved plums in there. 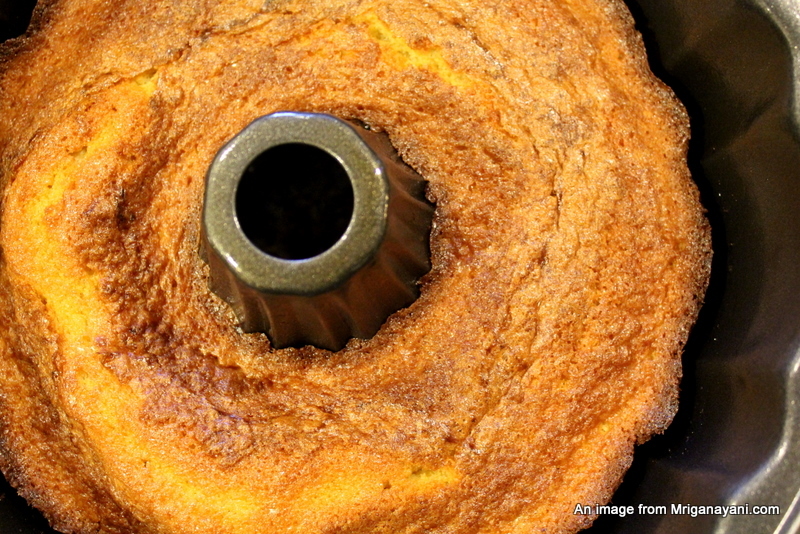 I used a bundt pan to bake this cake. The batter amount is probably just right for a 9 inch square pan. I got a small bundt cake though. You'll see. 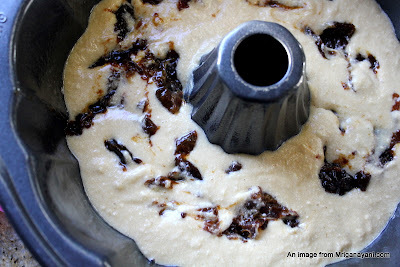 Line the bottom with a few pieces of plum so that they'll show up on top of the cake. Add the batter in gently and fill evenly. 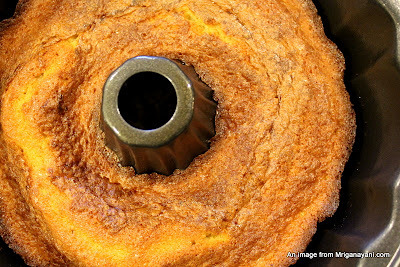 Bake in a pre heated oven at 350 F for about 25 mins if using a similar bundt pan. 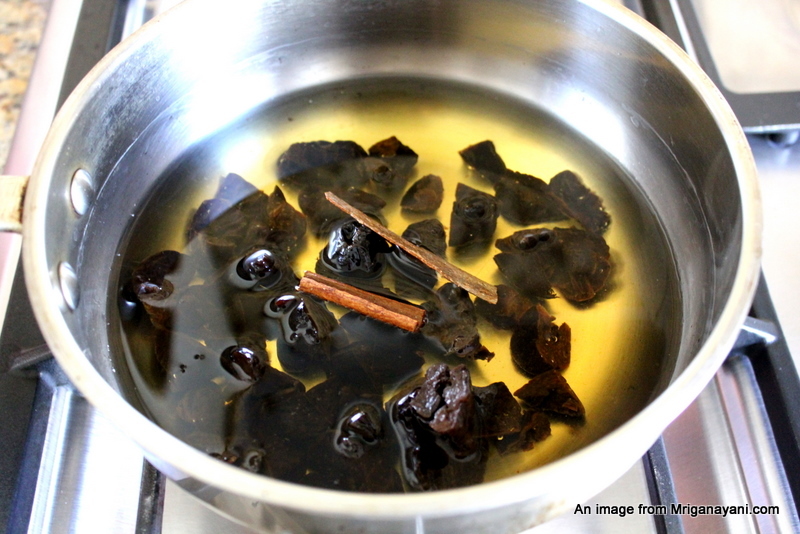 Or follow the timing in the original recipe above. And if that is not golden, what is? Let the cake cool down before flipping over. And moment of truth. Lo and Behold. This wasn't a very tall bundt cake because of the batter amount. But nevertheless perfectly done little bundt. The cake wasn't very sweet but the little pieces of plum provided the extra sweet bite. 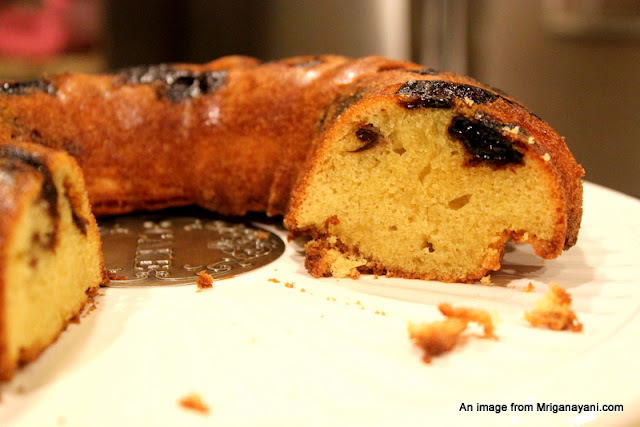 This is just a prefect little cake to go with coffee or tea. Love the little end quote on the cake. End of story. 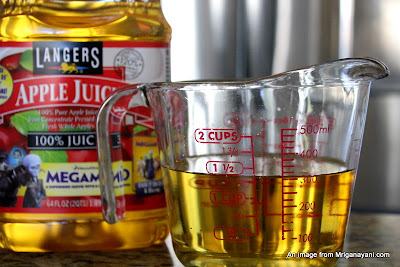 Cut into small slices and serve with some of the reserved apple juice on top. Thanks to the Sweet Punch team for a wonderful recipe. And to good memories over the weekend! I think I will end up making this surely, just couldn't, last month! 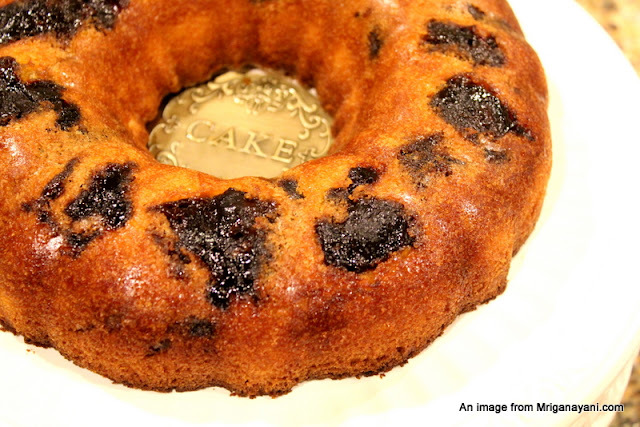 Looks super good n yummy..
Gorgeous and super soft spongy cake looks yummy..
Looks so yummy and tempting plum cake.. Happy that I am following your blog..
LOOKS Superb! you should totally consider sending this to my dessert event - please review the event details here - look forward! I made blueberry the blueberry cake. These look so beautiful as well as delicious. 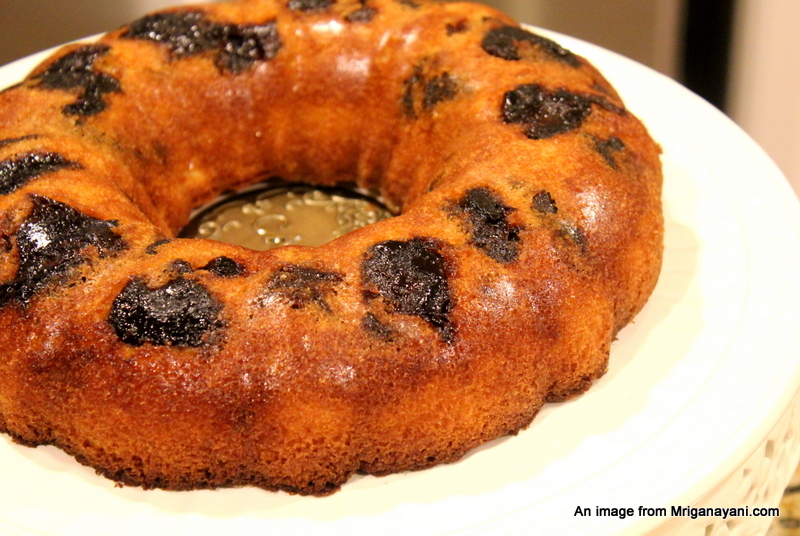 Gorgeous and beautiful cake, cake looks extremely moist..
Amazing plum cake if i may call it that. Simple recipe and loved the little modifications that you have done. 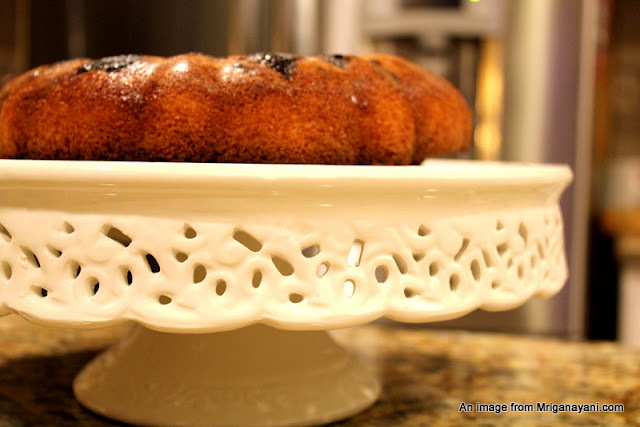 Lovely bundt cake! Im making this. Like right now. I loved the cake of course. But you do know what else I loved in this post right? It has the word 'stand' in it. Now, no prizes for guessing what that is ;) Im a sucker for that lacy pattern on the side.